Hang it, light it, crush it. 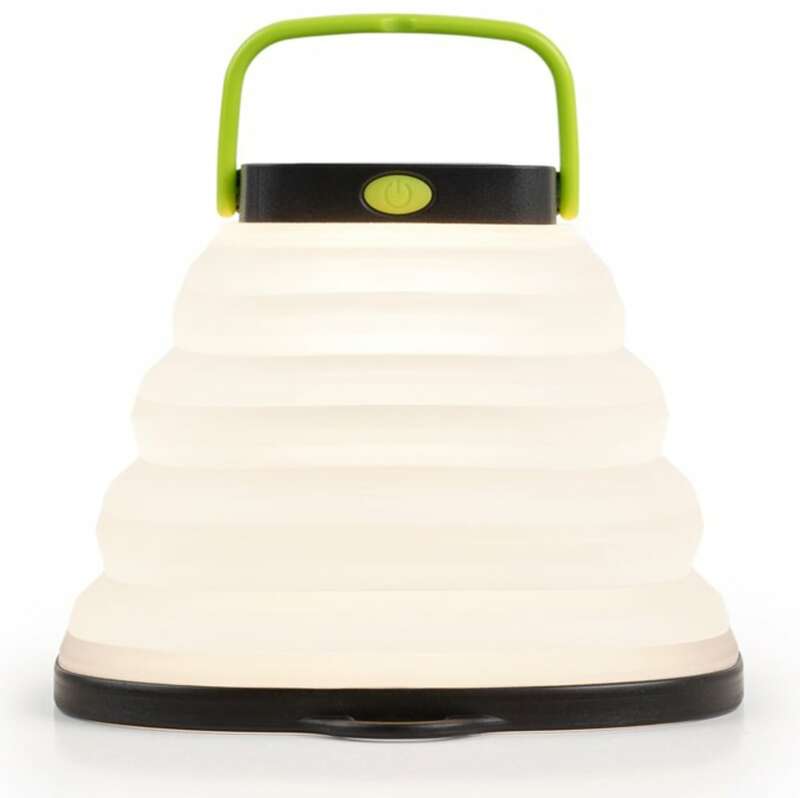 This solar-powered lantern is designed for convenience and features three light settings and a flickering candle mode. 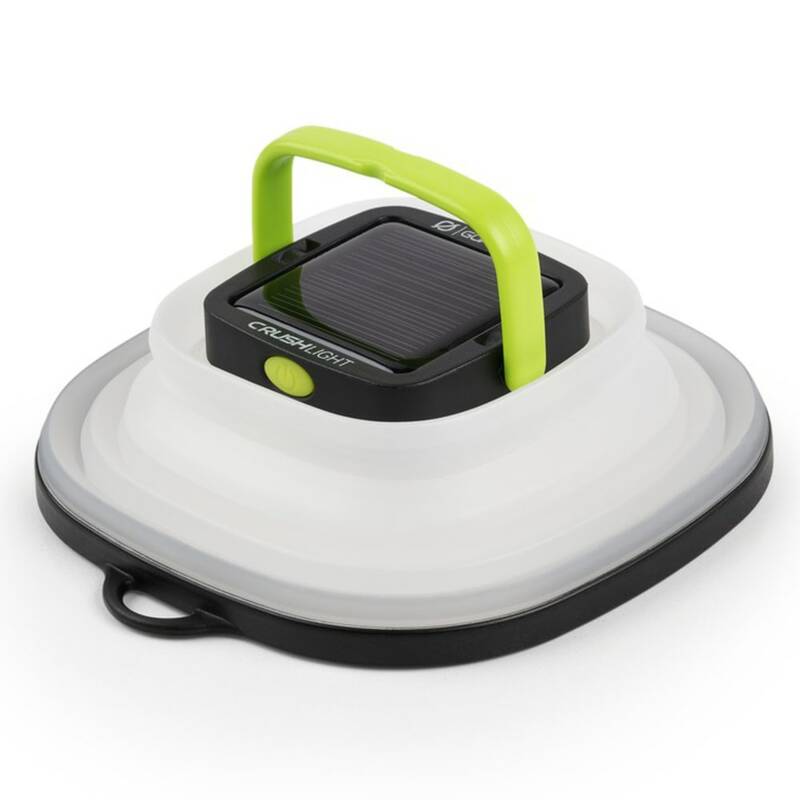 Light it: This collapsible solar powered lantern is a lightweight companion to any adventure with 60 lumens of usable light on high, and a 35-hour runtime on low. The Crush Light also features a soft, candle flicker mode for ambiance. 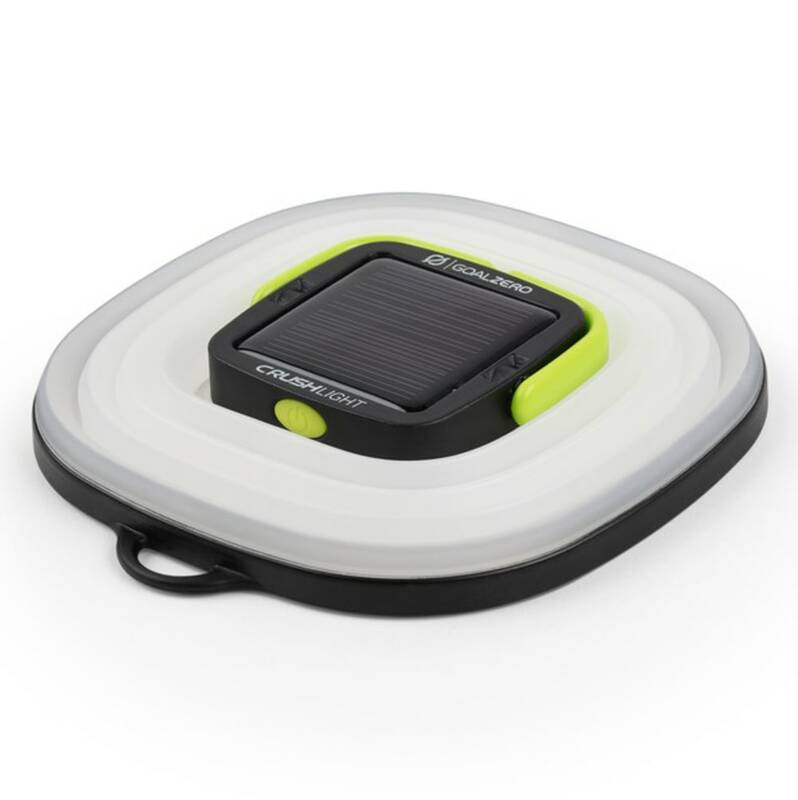 Charge it: Just add sun and the Crush Light charges up through its built-in solar panel. In a pinch? 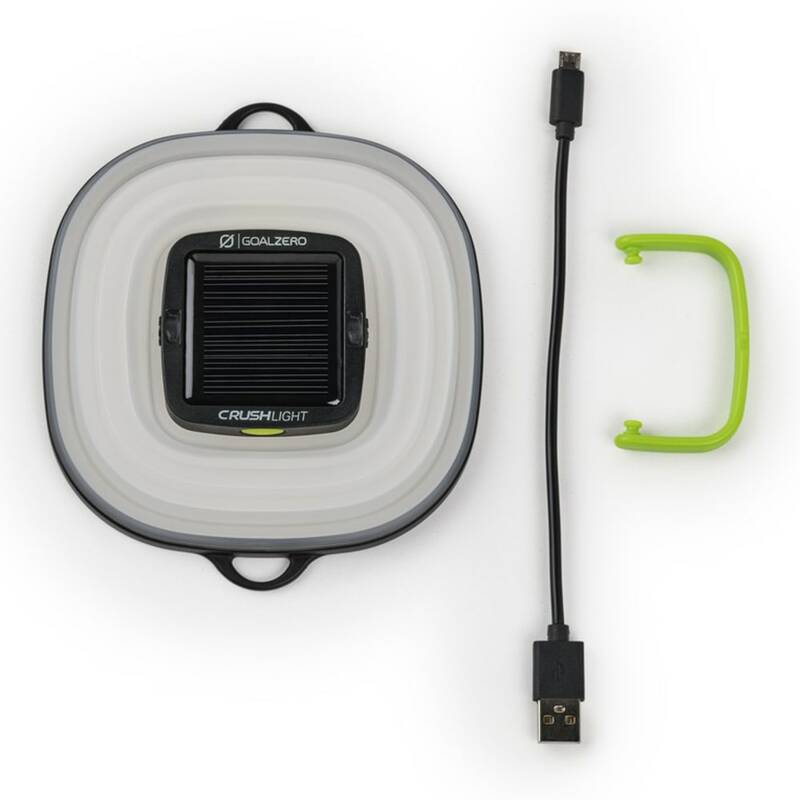 It also charges from any USB port via micro USB cable (included). 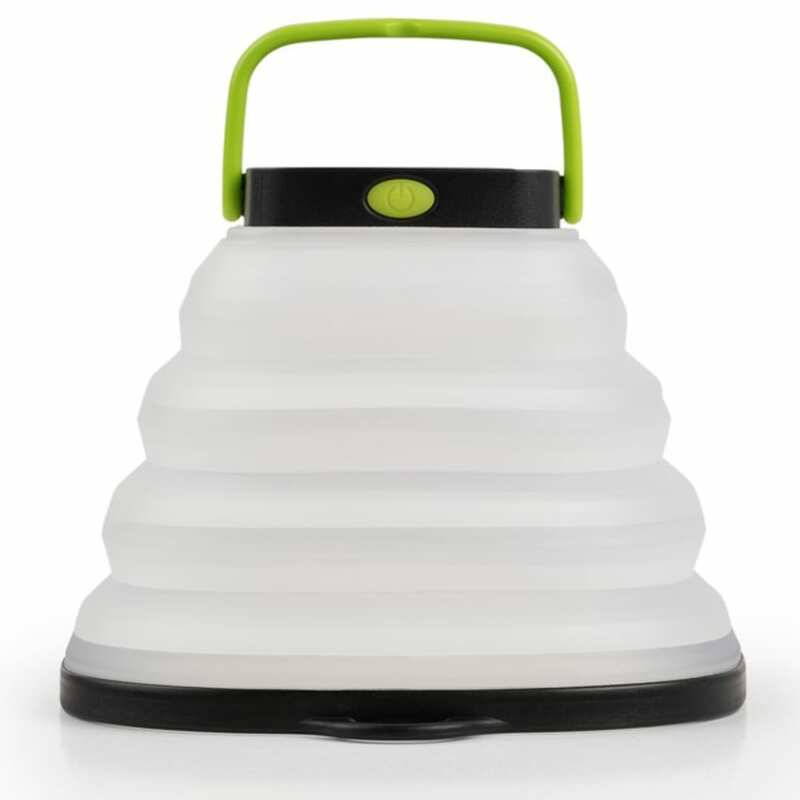 Crush it: The Crush Light is as easy to store as it is to use, collapsing to just over half an inch. NOTE: Crush Light ships in Demo Mode. To take it out of Demo Mode, press and hold on/off button for 10-15 seconds. Weight w/ Batteries: 3.2 oz.